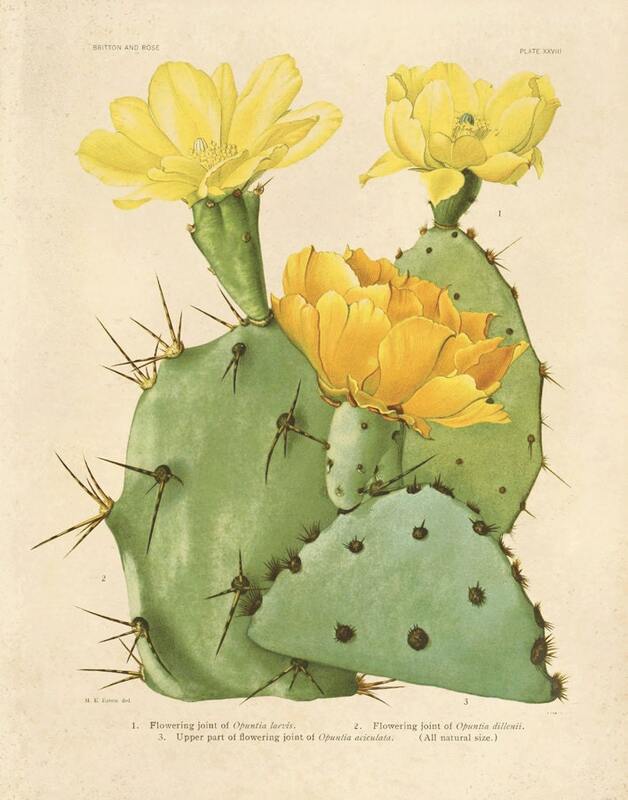 Cactus Blossom Reproduction Vintage Botanical Print. Original art from the text “The Cactaceae : descriptions and illustrations of plants of the cactus family by by N.L. Britton and J.N. Rose (1913). The pages have been scanned in, cropped, and retouched to ensure the highest quality reproduction possible. This print is digitally printed on velvet fine art paper, 100% cotton fiber, acid free archival, 14 mil. All prints available in 2 sizes: 11x14 or 16x20.